Servetus was born in 1511 in Tudela, Spain. From a young age he developed radical ideas concerning key Christian doctrines. He set out on a path as an intrepid reformer of the Christian faith, making more enemies than friends in the process. At the mere age of nineteen he was publically accused of heresy after publishing On the Errors of the Trinity (1531). The title speaks for itself. He rejected the notion of the Trinity; the religious doctrine of Christianity where God is believed to be the Son (Jesus Christ), the Father and the Holy Spirit. 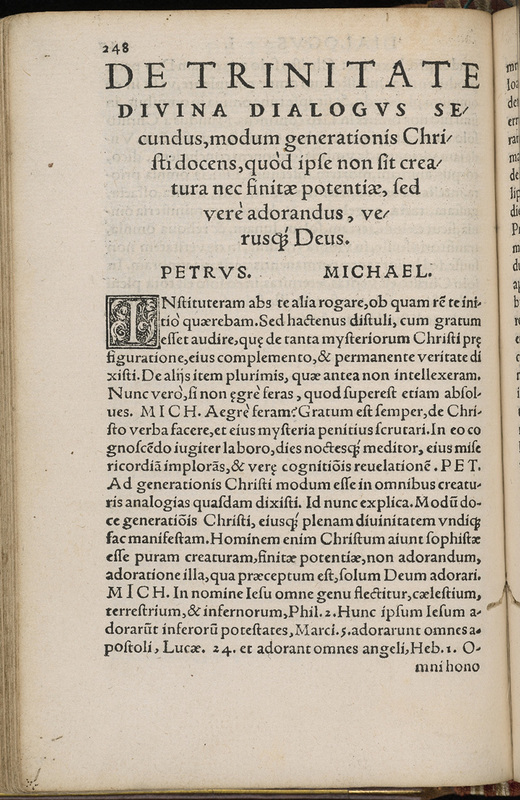 Servetus’ views on the Trinity caused great offence to both Catholics and Protestants and it was at this point that Servetus first came to the attention of lead reformer, John Calvin. With the Spanish Inquisition now on his tail, he fled to France where he took a new name; Michael Villanovanus. For the next twenty years he lived under this new name largely without detection, moving around France but spending most of his time in Paris followed by Lyons. He became a physician and, for the most part, his life was quiet, aside from being placed on trial for heresy in Paris in 1538. On this occasion it was due to his views on astrology. His medical colleagues at the Paris Faculty rejected the idea that astrology had any role to play on God’s earth. Servetus, however, succeeded in talking his way out of prosecution by drawing on the works of Plato, Aristotle, Hippocrates and Galen in his defence with great aplomb. Nonetheless, his reputation was again tarnished and he was removed from his position as lecturer, moving to practice medicine in Lyons as a result. Years later, Servetus, seemingly discontented with state of the reformation of Christianity, once again began to express his views on the matter freely. He opened a correspondence with Calvin, sending him manuscripts that would later become part of Christianismi Restitutio. Servetus maintained his controversial views on the Trinity much to Calvin’s disgust. In 1546 Calvin wrote to one of his allies on Servetus: ‘I will not pledge my faith to him, for did he come, and had I any authority here, I should not suffer him to go away alive.’ (Fulton, John F.). The two men had reportedly arranged to meet around this time but it is of no surprise that Servetus did not appear. 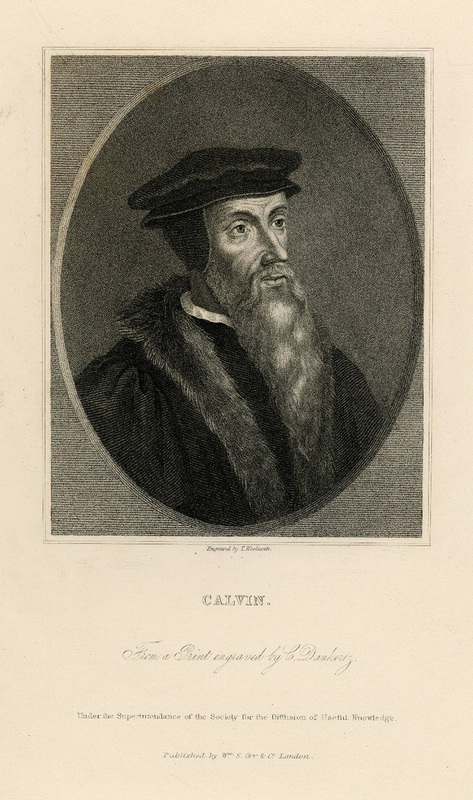 When Servetus finally published Christianismi Restitutio in 1553, Calvin reported him immediately to the Lyons Inquisitor. He was arrested in Vienne but escaped. His effigy was then burned along with five hundred copies of the book. 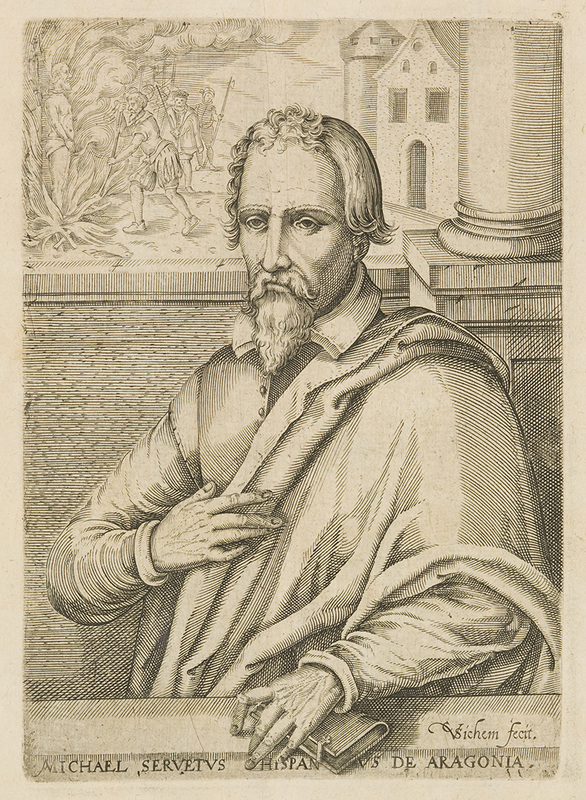 After escaping his initial arrest in Vienne, Servetus was captured some three months later in Geneva as he made his way to Italy. For some reason he had attended a church service on a Sunday where he was recognised and reported to Calvin. The tactic of hiding in plain sight had failed him. On the 27th of October 1553 he was found guilty of heresy and burned at the stake. The way in which Servetus was treated by both the member of the church and the Inquistion was condemned by many religious worshippers of the day and arguably bolstered the growth of Unitarian beliefs. Calvin’s merciless behaviour also lost him many followers and Servetus became a martyr of freedom of worship. He will be remembered as having been utterly fearless in his beliefs. There are only three known copies of Michael Servetus’ Christianismi Restitutio remaining: one in the National Library of Austria, another in the Bibliotheque Nationale in Paris and our copy here in the University of Edinburgh Library and Collections. The University of Edinburgh copy is of particular interest because the first sixteen pages have been removed. Although only a matter of conjecture, this may have been John Calvin’s own copy and it is believed he may have ripped out these pages to use as evidence of Servetus’ heretic crimes. 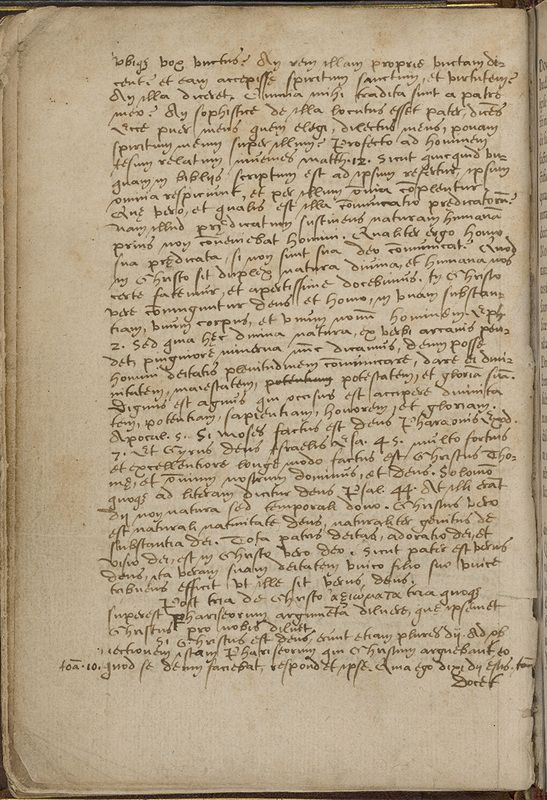 The sixteen pages have been reconstructed in manuscript style, possibly under the instruction of Calvin himself. Christianismi Restitutio is the latest addition to our list of digitised Iconic items. You can view it in full here. Michael Servetus : humanist and martyr. with a bibliography of his works and census of known copies / by Madeline E. Stanton.